Our fifth act in the 12 Acts of Kindness campaign included a cart-full of toys and a big holiday surprise. The holidays can be a rough time for kids living in low-income or impoverished households. While their classmates excitedly discuss the collection of shiny new parcels left under their Christmas tree or the wild variety of gifts given to them over Hanukkah, the first day of school following winter break can feel emotionally daunting for those less fortunate. Nowhere is that notion more apparent than inside the walls of rehabilitation clinics and healthcare facilities. While mom or dad battle to get well, their children are left trying to piece together whatever holiday celebration they can muster on limited resources. And even though the best gift would ultimately be to see a healthy smile on their parent’s face, a toy or game once in a while wouldn’t hurt either. 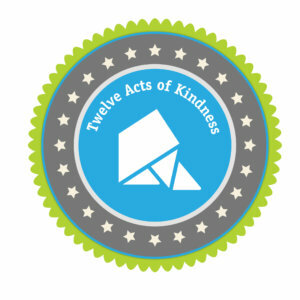 Upon hearing of that plight, Random Acts decided to step in. 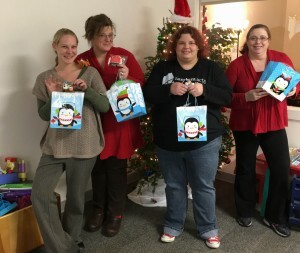 After discovering that a number of parents at her facility had expressed interest in receiving Christmas gifts for their children this year, Jo-An suggested that Random Acts fund the purchase of various toys, games, and other coveted items in order to make their holiday a little brighter. 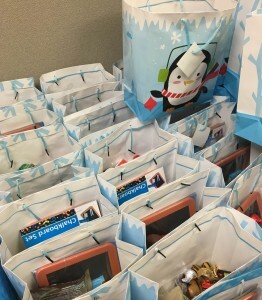 “My coworkers and I put together over 150 gift bags containing stocking-stuffer items,” she wrote later. Even better, she said, “While we were planning, we were also approached by a Toys for Tots volunteer who ended up donating an additional gift for each child.” What had started as a simple gesture had suddenly snowballed into an even grander holiday surprise than expected. On the morning of December 23, Jo-An and her colleagues made rounds at the clinic with arms full of festive gift bags, handing out the Christmas presents to the groups of ecstatic children. From art sets to stuffed animals and everything in between, no gift was left neglected or unloved. There’s no guarantee that the children under Jo-An’s care will remember the details of her visit in years to come. But there’s no doubt that they will remember the feeling it gave them to be gifted with such a sweet holiday surprise. Hopefully they’ll also remember to follow her kind lead.